Groundwater plays a key role in many shallow geological processes, and an estimate of the level of the water table, is an important component of site investigations, assessments of water resources and environmental studies. Data on groundwater level is frequently used as a component within geological models, for instance in studies of slope stability, groundwater flood susceptibility or the suitability of an area for Sustainable Urban Drainage Systems. BGS holds the National Groundwater Level Archive, which is a database of information on groundwater depth derived from a range of sources, including measurements made during borehole drilling, time series data from observation wells and compilations of interpreted data. For site specific investigations these data provide the most reliable source of detailed data, but although measurements are available for over 50 000 wells and boreholes these are very unevenly distributed (Figure 1), with the vast majority concentrated over productive parts of major aquifers). In addition, the measured data at a given point may not represent the natural phreatic water table, being influenced by local and regional pumping, or possibly being measurements of potentiometric head in confined aquifers. Figure 1 Density of depth to groundwater observations. Who might require these data? For water well drillers, the depth to groundwater is a key determinant of the cost and likely success of: drilling a borehole for water abstraction; or for the calculating the depth required for, and efficiency of, a ground source heat pump installation. Civil engineers and planners involved in construction and land development need to consider the presence of shallow groundwater, which will influence the design of below ground infrastructure, and whether allowance needs to be made for dewatering excavations or protecting the built environment from water ingress. Groundwater level can also be an important factor in the practicality of mitigating the impact of buildings on runoff to surface water courses through the use of soakaways and SUDS installations. Environmental planners need to identify groundwater bodies that may be an important source of water sustaining wetland habitats. Shallow groundwater may itself be an environmental problem, leading to waterlogging or flooding. Regulators involved in environmental protection must consider depth to groundwater. Generally deep water tables result in long flowpaths for infiltrating water, and enhance the opportunity for potential contaminants in soil or water to be dispersed or degraded before they reach the water table, offering some protection to groundwater bodies. Conversely shallow water tables are normally considered more vulnerable to pollution. The groundwater level data consists of two data layers in Geographical Information System (GIS) format. 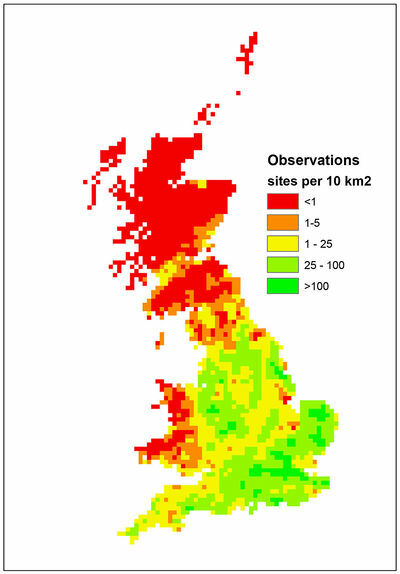 The main data layer consists of a gridded depth to groundwater, and a supplementary dataset that identifies areas where extra care is needed in use of the depth to groundwater dataset. These datasets are summarised below and their technical characteristics are reported in Section 3 below. The depth to groundwater dataset is a gridded representation of the depth, in metres, from the ground surface to the phreatic water table. This represents the likely lowest water level, under natural conditions, in an open well or borehole drilled into the uppermost parts of a rock unit. The supplementary dataset is a vector overlay that defines some of the areas where phreatic groundwater level may vary significantly from the gridded data. Areas where either superficial sediments or bedrocks have low or very low permeability conditions are of particular concern. If the shallowest superficial material is impermeable, infiltrated water is likely to be trapped and saturate soil. If bedrock is impermeable, overlying sediments may be saturated, depending on local topography, or in some cases the material may be functionally dry, and a water table will not be identifiable.